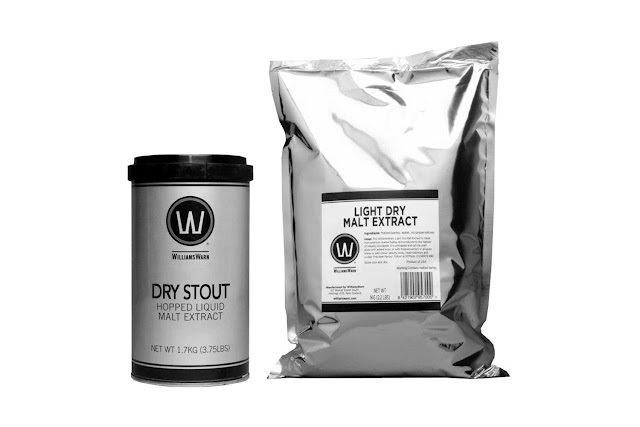 So are these dry stout kits worthing using? 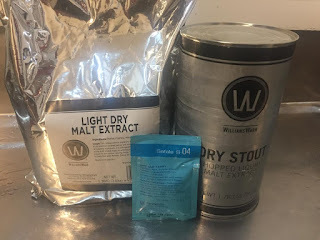 Having had a fairly good experience with the WilliamsWarn's 'Bohemian Pilsner' homebrew kit, I thought I'd give their 'Dry Stout' a go. If you think of Irish stout's like Guinness or Murphy's, that's the ballpark we are in. "Our Dry Stout has a black appearance from the crystal malts, roasted malts and roasted barley employed in the grain mix. The result is a great Dry Stout that has liquorice, roasted coffee and chocolate flavours dominating." Getting ready on the kitchen bench! Will I be able to make a beer that matches this claim? I did the basic preparation as you do for kits. Basically, I followed my own beer making guide! I left the wort to sit in the fermenter in the garden shed. Winter's just creeping into my end of town so I wrapped it with a few old painting sheets and let it be for exactly a week. The fermenter started bubbling within 24 hours and stopped doing so around day 4 or 5. I bottled 8 days after getting the beer down. I didn't taste it but it had a nice smell, perhaps one more noticeable than many other brews I've previously done. So while we wait for the stout to bottle condition, let's shoot the breeze about a few other things. What was the yeast used for the stout? The yeast that came with the beer kit was a 11g pack of Fermentis S-04 yeast. This yeast is often used with English ales. It's an adaptable yeast that actually suits a range of ales (you could use it with a nut brown ale for example) and is known for its ability to form a compacted sediment at the bottom of the fermenter. This is awesome as when bottling there's less chance of sediment getting into your finished beer, giving you the oft prized clear beer. Fermentis recommend that their yeast should be added to the wort when it is above 20 degrees centigrade. Frankly, after I filled the fermenter with water from the garden hose, I just pitched in it! I've read that the kit also sometimes comes with the Danstar Nottingham ale yeast. With the kit and same branded Light Dry Malt Extract, I paid 44 dollars which is a bit on the steep side, if you ask me. The DME cost 20 bucks! Nearly as much as the kit as itself. So I guess the idea is that WilliamsWarn is supposed to be a 'premium beer kit' producer. Actually, the prices on Amazon are about the same as what I paid so go figure. But to be frank, when I made the Bohemian Pilsner I didn't notice any real difference in quality say compared to a Mangrove Jacks or Coopers kit. I'm actually pretty sure that most kits on the market these days are quite suitable kits for brewing with. But enough of this 'chit chat'. The tasting results are in. First up, I brought a few bottles in from the shed after a couple of weeks conditioning and left them in the fridge for two nights. I then opened and slowly poured into a long glass. The beer smelled really good and was a nice dark colour, just the kind one would expect. A small but creamy looking head formed which bode well for the taste test. And I gotta say, this was a pretty good darn beer. It had some thick body and it felt like it was heavy enough to count as a stout. The Williams Warn kit had delivered. But did it deliver on the promise of making beer in which "liquorice, roasted coffee and chocolate flavours" dominate? It's a romantic description but in a sense it's true. While I certainly haven't detected any liquorice notes, coffee and chocolate are fair assessments but they are not pronounced. I can't help but wonder if this brew would have been better if I had used oak chips to give it some flavour boost. Review Verdict: Recommend you have a crack. Order the kit from Amazon today.